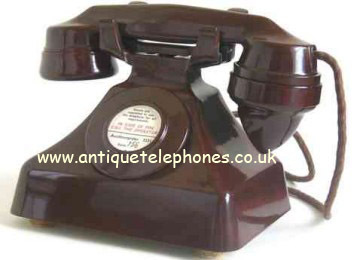 Yes I buy Antique and Bakelite telephones from auctions ex GPO engineers or private individuals. If you sell through auction you will pay seller fees up to 20%. I may not always be interested depending on my stock levels but it is always worth asking. Send me photographs with an honest description of condition and I can give you a quote. If you have a price you want then ask and I can say yes or no. It is better I buy direct than you pay seller fees. Send pictures and descriptions to telephonesales@btinternet.com if you don’t get an answer it may be it has gone into my spam mail and you may need to make a follow up call for me to locate it. If you are clearing out your parents house etc and like me cannot stand to think of throwing away items that could be useful then please donate it to me. I will strip it of useful parts and put it towards the restoration of other telephones. Just make sure it is a dial telephone and has some useful parts.